If you want some relief from the oppressive summer heat and you are looking for a place to relax, then you must visit a hill station. Ample Greenery, cool breeze and waking up in the sight of snow-capped mountains, there is nothing else you can wish for, right? You will find all of this in mostly all the popular hill stations in India. Be it North, East, South or West India, there are hundreds of hill stations in India that will help you to reinvent yourself. From beautiful ranges of Himalaya to the stunning landscapes in the South India, Hill stations are nothing short of a popular tourist destination. Most of these hill stations were developed by the Britishers in order to get respite from the scorching sun. To help you decide for your next trip, we have listed down the top 10 popular hill stations in India. Have a look at these famous vacation spots below. 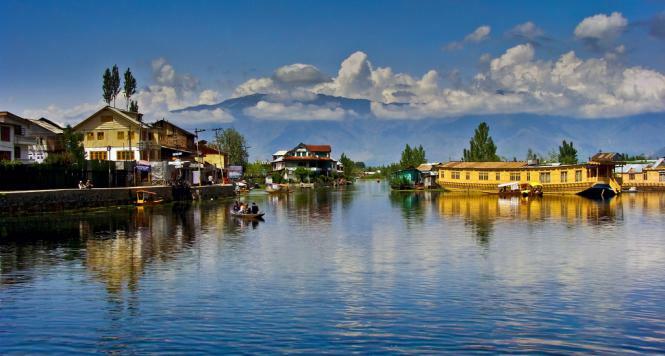 A place that is called a Heaven on Earth, Srinagar is popular for its lovely lakes, historic gardens and distinctive mosques. Without any doubt, it is one of the best hill stations in North India. The neighbouring areas surrounding this popular hill stations will also give you a fascinating experience of your life. The beauty of Srinagar can’t be explained in words, with beautiful tulip gardens, local cuisines and cold breeze, this place has everything to offer that a human can expect. 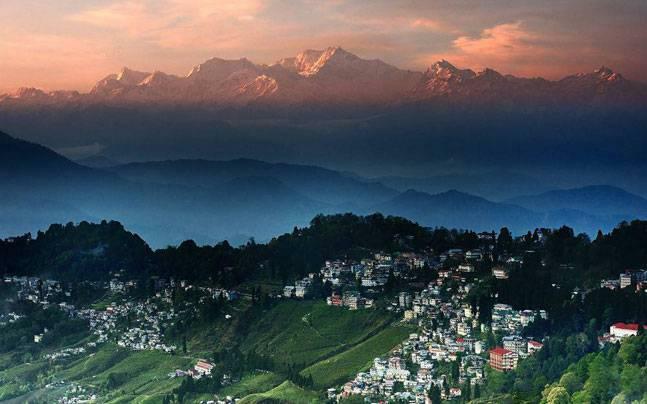 Located at the foothills of Mount Kanchenjunga, Darjeeling is one of the most famous hill stations in India. With breathtaking sights of snowcapped peaks and tea gardens, Darjeeling is a place that you can’t miss for sure. Some of its popular attractions include a toy train, Buddhist monasteries, gardens and the Darjeeling-Rangeet Valley Passenger Ropeway cable car. Surrounded by some of the most beautiful peaks in the world, this lush green beautiful valley is a favourite for all the backpackers. If you want a vacation full of adventure, then do visit Manali for trekking, paragliding, rafting and skiing. Manali is also popular for its landscapes, flowery gardens, cool pine forest and apples. 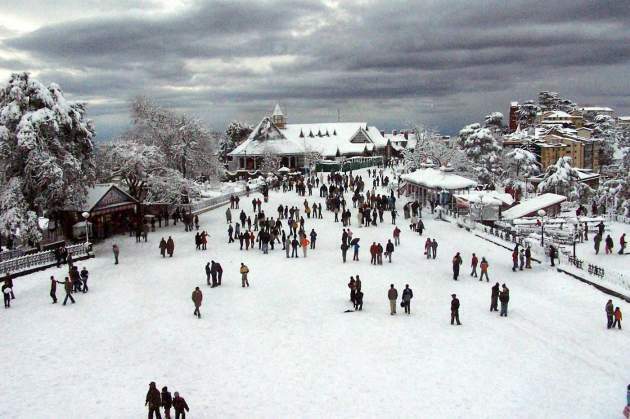 Shimla was the summer capital of the British era and it is now the capital of Himachal Pradesh. Snow-capped Himalayan peaks and green landscapes surround this beautiful hill station. Shimla is famous for its colonial style buildings, British architecture and historic railway lines. Moreover, many famous movies were shot at this stunning place and who knows the next time you visit there you can actually see a movie shooting for real. Coorg is known as the Switzerland of India and also, the Kashmir of South. 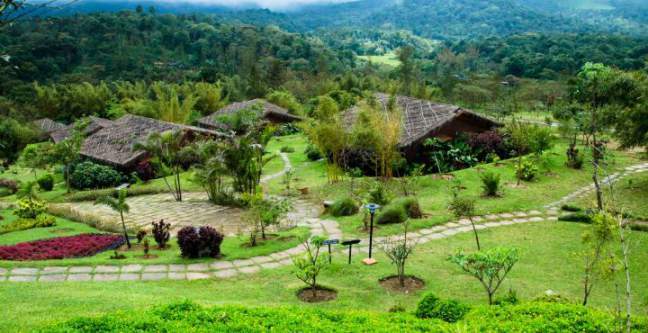 The beautiful landscapes, tea and coffee plantations make Coorg one of the most famous hill station in South India. Coorg’s main attractions also include water falls, wild life sanctuary, churches and forts. If you are a nature lover, then exploring Coorg is a bliss for you. This place was discovered by and built up by the British. The lush green forests, emerald coloured Naini lake and the surrounding Kumaon Hills make Nainital a perfect destination to relax amidst nature. Nainital also has a busy town bazaar and a couple of walking tracks around the forests and the hills. 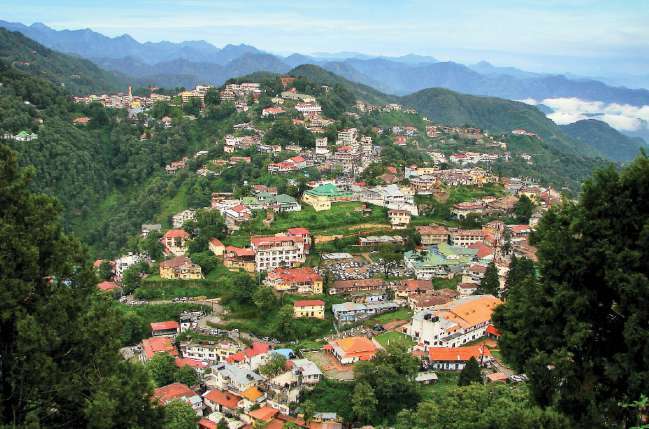 Mussoorie is fondly called as the Queen of Hills as it is situated in the peaks of Uttarakhand. With a stunning view of the Doon valley and the distant snow-capped Himalayan mountains, Mussoorie is a perfect spot for the honeymooners. Tourists can also enjoy a ride in the cable car and also, a horse ride to the Lal Tibba(the highest point in Mussoorie). Matheran is one of the smallest hill stations in India and unlike its size, it has a variety of things to offer. 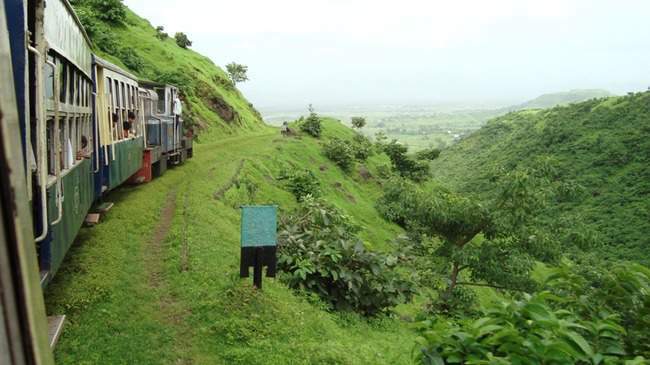 It is a popular weekend getaway and an ideal place for trekking for the residents of Mumbai and Pune. The place is far away from noise and pollution so you can relax and enjoy to the fullest. Located in the God’s own country, Munnar is a place for all the nature lovers. 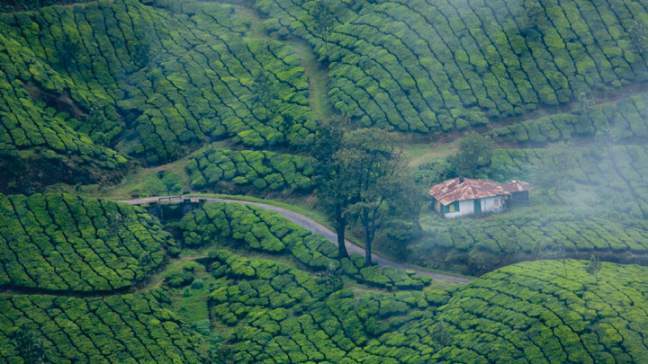 This hill station can steal your heart with sprawling tea plantations, lush green landscapes and beautiful winding lanes. The place also offers a plenty of activities for the tourists namely rock climbing, trekking, boating, paragliding and shopping. The last place on this list of top 10 popular hill stations in India is none other than Ooty, a place that is proudly called as the Queen of Hill Stations in India. Ooty was a summer retreat for the British and it’s a visual delight filled with gardens, cottages and landscapes. 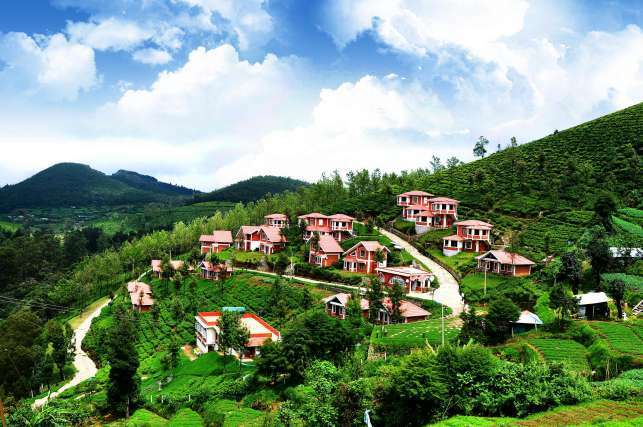 It is one of the most popular hill stations of South India. Don’t miss: 20 Places In India That Resembles Exotic Foreign Destinations. If you have visited any of these top 10 popular hill stations in India, do share your experience with us in the comments section below.